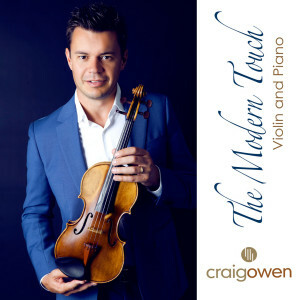 Craig was born in Guisborough, North Yorkshire and started playing the violin at the age of six. As his career developed he was discovered by record producer Pete Waterman leading to a record deal with Universal/Decca Classics and a No.1 album, ‘Duel’, in the UK Classical Charts. Since topping the UK Classical charts, Craig has performed all over the world as a solo recording artist, and with a number of stars including Jose Carreras, Tina Turner and Sir Cliff Richard. 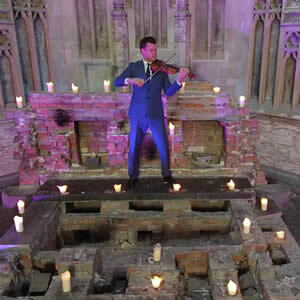 Recent solo performances include concerts at the first ever nighttime F1 Grand Prix in Singapore, Royal Albert Hall in London with the English Chamber Orchestra, and in Dubai at the DIFC with the London Concert Orchestra. Craig has featured on Classic FM performing his new compositions ‘Amor’ and ‘Song for Hong Kong’ for solo violin, followed by a series of concerts at the Cultural Centre with the Hong Kong Philharmonic Orchestra. ‘Amor’ is currently broadcast on C Music TV in Europe, Asia, Africa and the Middle East. Currently Craig is in high demand for Concerts, Weddings, and Corporate Entertainment and has produced and released 5 solo albums to date.